As I’ve been saying for the past several days, the response to my blog posts last week has been incredible. I am absolutely touched and inspired by all the positive comments I’ve received and continue to receive. I think at this point there are over 500 positive comments on the various pages, and you can see the wide range of people who have been touched by this story. I mentioned in a previous post that I wasn’t going to post negative comments. Surprisingly there have been few, and none worth your time even to read. There is an enormous pressure–perhaps self-induced, I admit–to prove that I can do my job as well as (if not better than) anyone else. I had always placed this pressure on myself, as all of my gay military friends had, because I felt I had something to prove, even if no one else knew I was doing it. For my entire career I lived with the idea that people–from conservative civilian lobbyists to my fellow Marines to my Commander in Chief–believed I was incapable of succeeding as a Marine because I was gay. They thought we had no place in the military, and therefore it was up to us to be beyond reproach and the very best in our fields. In many ways that pressure has since been compounded, because it’s no longer a secret struggle. The world is watching as we expose our true selves. Those who opposed repeal are scrutinizing every one of us, waiting for the opportunity to say that repeal was a mistake. 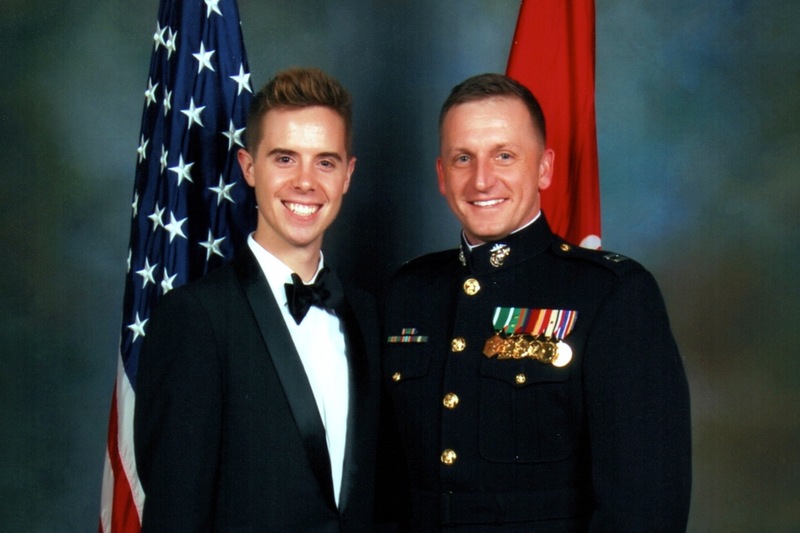 As an officer and a leader of Marines, I lead from the front, setting the example for junior Marines and officers and to prove that there is no need to describe my service as that of a gay Marine, but just a Marine. Because of this, every word I say, every order I issue, every email I write, and every look I give is a conscious effort, as carefully thought out and worded as the letters, essays, and interviews I gave prior to repeal. Each and every moment of my life holds in it the possibility of discredit and disservice to my Corps. I cannot fail the Marines who are counting on me to pave the way forward as a Marine in a post-DADT military.